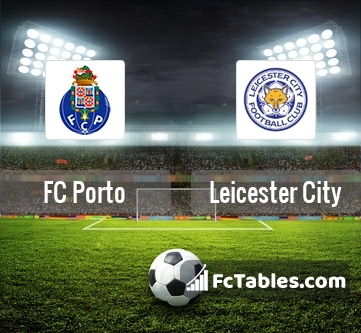 Match FC Porto-Leicester City Champions League the fixture is set to kick-off today 06:45 on Estadio do Dragao. Refereee Felix Zwayer. Team FC Porto is located in the middle of the table. (2 place). In 5 last games (league + cup) FC Porto get 8 points. From 3 matches not known a taste of defeat. In this season games Champions League the most goals scored players: Miguel Layun 2 goals, Andre Silva 2 goals, Jesus Corona 1 goals. They will have to be well guarded by defense Leicester City. Players , Andre Silva 1 assists will have to be very well guarded by defenders Leicester City, because they have the most assists. Team Leicester City is at the top place in the table (1 place). Last 5 games (league + cup) finished balance 13 points. Players Leicester City in Champions League with the highest number of goals: Riyad Mahrez 4 goals, Marc Albrighton 1 goals, Islam Slimani 1 goals. Most assists in the club have: Riyad Mahrez 1 assists, Islam Slimani 1 assists. Injuries in the team Leicester City: Kasper Schmeichel, Ben Chilwell, Bartosz Kapustka. 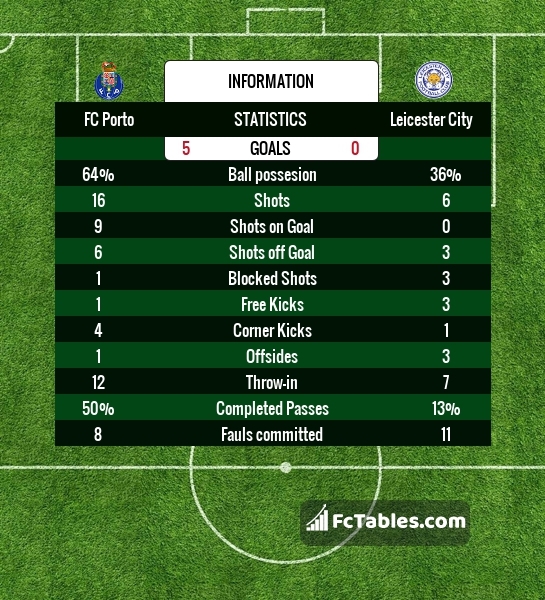 Direct matches: usually ended with winning of Leicester City. 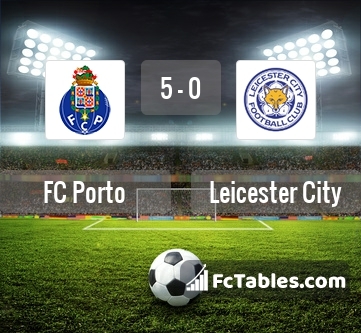 Balace of both teams games are: 0 won FC Porto, 1 wins Leicester City, 0 draws. In 0 matches the sum of the goals both teams was greater than 2.5 (Over 2.5). On the other hand, 0 matches teams scored more than 1.5 goals (Over 1.5). In 0 matches the both teams have shot at least one goal.